A quick shot to entertain you. Told you giant robots were coming. 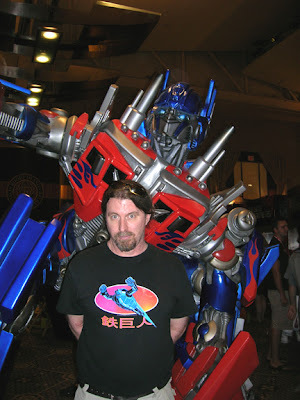 This was at Botcon...me with Optimus Prime, the lead good-guy Transformer. Does this film look cool or what? Anyway, very busy but took a day off here to have some fun, and later, a great BBQ with some fellow toy and robot collectors. A God of Art...on a TV near you!!! 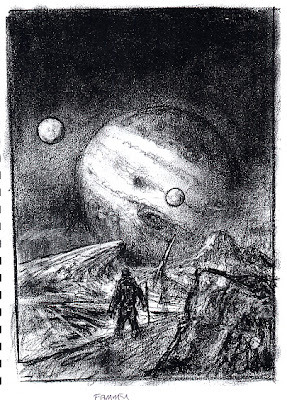 One of my greatest influences, and "art idols" if you will, is J.M.W. Turner, perhaps the finest of the British Impressionists/Romantics. His techniques and persona were, reportedly, maddening. I knew why I liked him! While many gravitate to the Pre-Rafaelite influences, and that's all fine- for me, it's Turner and his ilk-Impressionists and Romantics. Turner was no slouch at doing fantasy imagery in his paintings, as I said in an earlier post about this. The ever-wonderful PBS is having a great series Simon Schama's Power of Art, on weekly. July 23rd is Turner's show. I've never seen any documentary on him so this will be a bit of an epiphany to me as well Nice to have alternative shows to those idiotic "reality shows"(I think "this too shall pass"). Check out the site for more info on this great series. 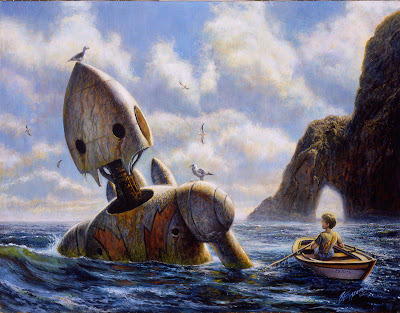 If you click on "Explore the painting" you'll see one of his works that contains a "sea monster". 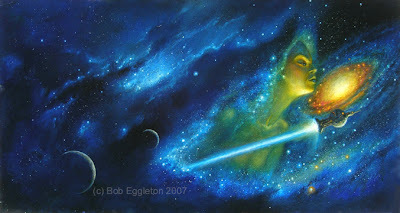 There's also great points about the painting and even a vocal narration!! 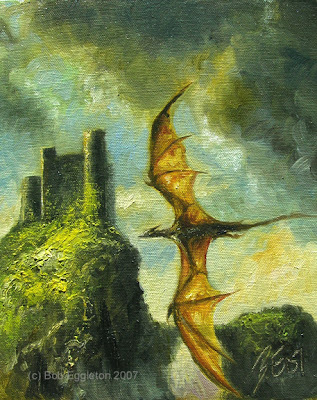 Dragon Gorge(8x10,oils, $SOLD) Was in a dragon mood lately....enjoy!!!! ah well.... a wordplay on a Beatles song. I hope you don't mind. Time for a nice nostalgic flashback. This weekend marks the 40th anniversary of the Monterey Pop Festival. 2 years before Woodstock, it was The Summer of Love. Mamas and The Papas, Hendrix,Janis Joplin,Otis Redding.... okay, I was only 7, and I remember the music... but the cultural shockwave of those days was something even this then-7 year-old-in-California, was not immune from feeling. It changed the way we think, like ripples in the pond, across the time continuum. It became part of our cultural history for better or worse depending upon one's view. And I remember *seeing* Flower Children!!! Scott McKenzie's "San Francisco-Be Sure To Wear Some Flowers In Your Hair" was humming in my mind. It still hums. At seven, I knew Viet Nam was a travesty. (Don't ask why- I'll tell you my late brother's story, you don't want to hear it, trust me.) I'll just say, remember those times. History has this crappy habit of repeating itself, especially the rotten stuff. We'll never have The Summer of Love again, but, in our hearts...it's part of all of us. Stay artsy, stay cool...grow your hair and wear your flowers and your tie-dye. No matter what "they" say! A little bit of my heart, to all of you. More paintings, more art...soon. Politics is momentary. Art is forever. 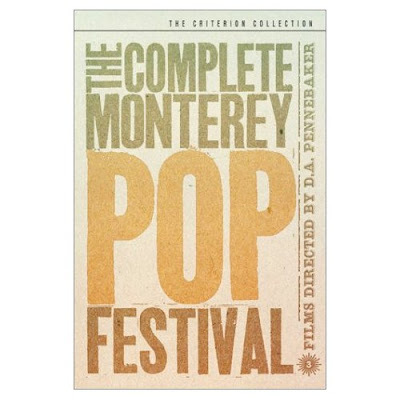 A movie plug here-the DVD of The Monterey Pop Festival is alot of fun. Highly recommended!! See? I have been busy! 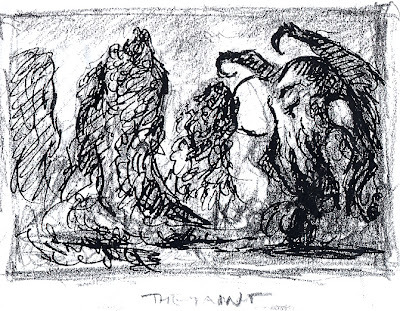 Here's some concept sketches to some upcoming covers I am doing. Top: The Dinosaurs of Mars-cover to a great Caitlin Kiernan book. 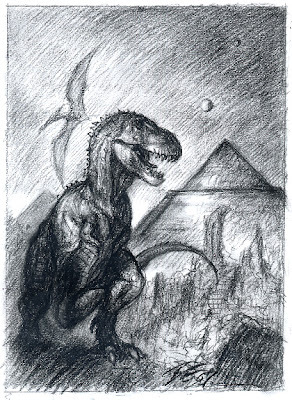 The idea was to make an almost 1950's view of dinosaurs-you'll have to read the story to get the context, 2nd down: Dragon Done It-combine hard boiled detective mysteries and, magic in a book edited by Mike Resnick and Eric Flint and this is what you get! 3rd& 4th down, two Heinlein books I am doing. All these will eventually become covers, all the sketches were approved on the first shot-which means it's my best idea and thus, they'll be good pieces. I visualize things in my mind, and "see" the compositions and sketch them down with charcoal....it's a nice spontanious way to work. I was just saying that I'd been busy, however, I did pull together to do a nice image of the west coast, Muir Beach to be specific. I long to see this place again. The rocks, landscape and all are totally spectacular. 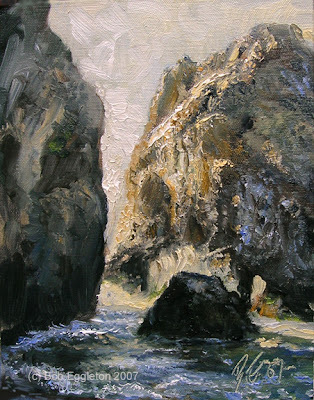 I can easily see why it's such a lure to artists, for painting. It's been busy...it will BE busy! Here's the display I put up at Little Falls Cafe in Cranston. Nice place to have coffee and good cookies and pizza. Nothing new this week, sorry, it's been crazy, tiring and a little busy. Some new stuff soon!! 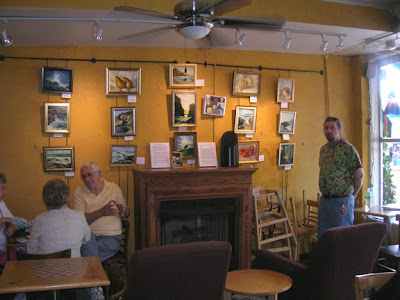 But enjoy, anyway, and if you are local to RI, stop by Little Falls in Cranston...2166 Broad St Cranston, RI 02905. Just look at the "Interviews/Reviews" section on the front page and click. Has a nice spread of work and kudos go to Gayle Surrette for asking some good questions! I have a "How to" in the June issue (#18) of IMAGINE FX, I talk about paintings a day and, how to make a dragon look good. IFX is a British mag that is available at most Barnes and Nobles and Borders, roughly a month later from the original UK publication date, in the US. Fun magazine and great editorial staff. Just finished some chapter headers and vignettes for a great book by Alan Campbell called LYE STREET. It has a cover by Dave McKean, and will be published by Subterranean Press. Nice to work on something "with" Dave as it were. Working on more sketches and concepts for upcoming projects. More paintings, soon! 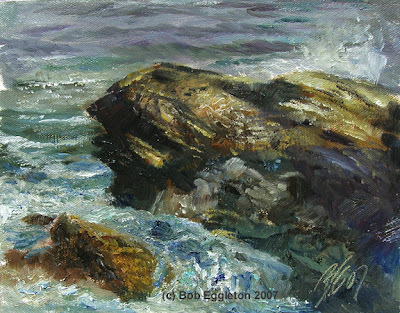 I painted this one en plein air, this week out on Jamestown. Just a fantastic evening with low sun and the weather was nice. Too nice! It was blowing up a good wind, and thus it's hard to set up the guerilla paint box that well in such conditions. Also, a guy decided to stand on the rock I was painting and fish! I left him out but he made for a good scale comparison. The sea was high and we had some nice waves. Part of me really had to fight to get into the "mood" to do this as I had been a bit tired this week. I timed myself to an hour on this and after 40 minutes I wanted to leave well enough alone, and signed it. Came out fairly nice all things considered-I dropped my brush several times. I most like the way the ocean came out, with regard to that murky color the Atlantic tends to be, particularly over the top of the rock . Ah, the problems painting plein air, that we face sometimes. And to solve them, we just paint on...next time! If a Dragon lands in the forest, does it make a sound? 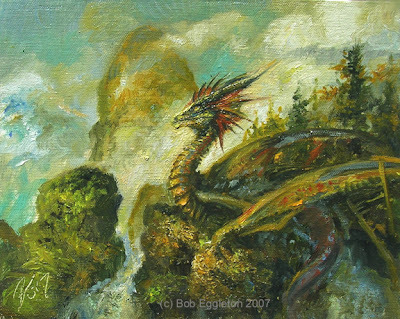 The Forest Dragon(oils, 8x10, SOLD!) 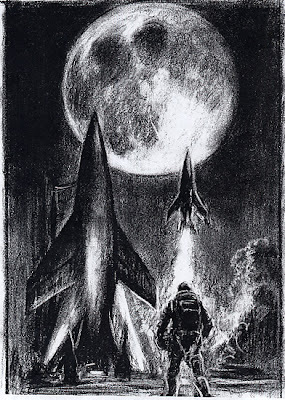 This was done for a study for a much bigger painting. Such studies are good when doing larger canvases which this will be. Lots of texture and some impasto around the head. I spent a bit more time on this than I normally spend but I had to get a dynamic going and make that work all over the painting. 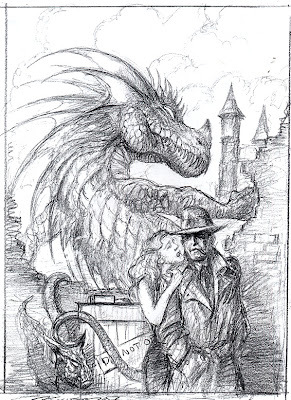 The idea is to make a Hudson River type work, but with a dragon element and make the dragon look somewhat at rest and just part of the scenery.